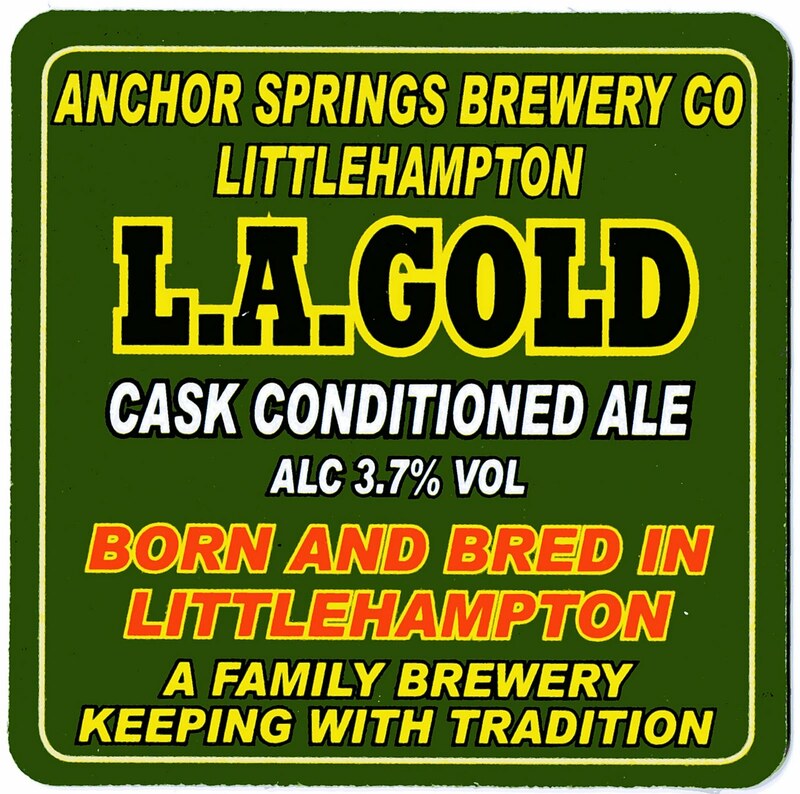 These two gold nuggets from the Anchor Springs Brewery Co. can usually be found at the brewery-tap, the Crown, Littlehampton, West Sussex. L. A. 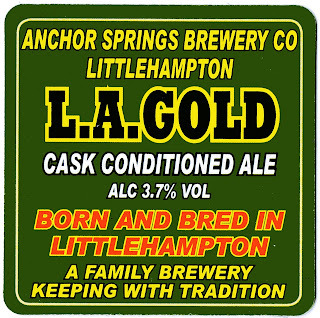 Gold is the perfect summer-session ale, named after its golden colour and the colloquial pronunciation of Little ‘Ampton. L. A. 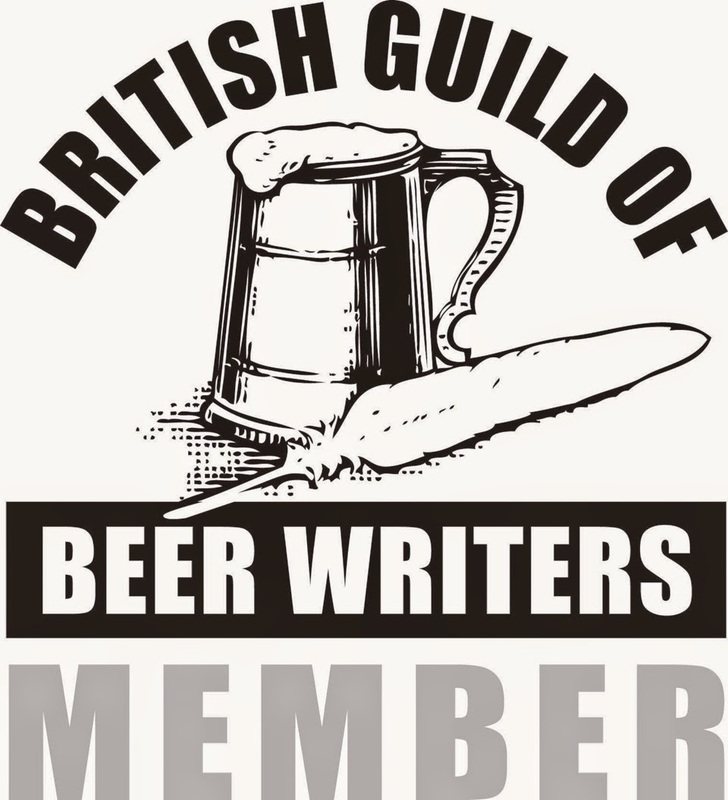 Gold is brewed with amber and pale malt to an OG of 1039.5° and an ABV of 3.7%. Challenger is used for the bittering hop, Target for the complex middle and Cascade for the citrus end hit. A sweet initial taste leads into a clean, crisp mouthfeel and dry lingering finish. 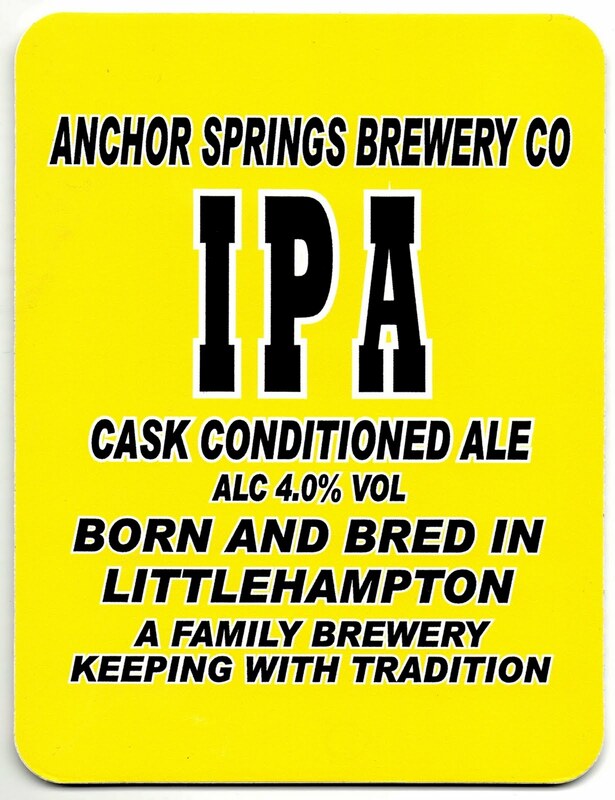 The IPA on the bar today is not the same beer as the 4.7% Anchor Springs IPA from last summer. The 2011 Frank McCabe-brewed IPA is a much superior beer, light-gold in colour with an OG of 1042.5° OG and 4.0% ABV. 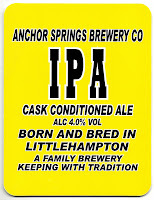 This full-bodied ale is brewed with pale malt, Target hops for bittering, EKG then Cascade for aroma. An initial sweetness with light toffee flavours gives way to a distinct middle stage with a full malt mouthfeel then a dry, lingering hop finish.